Riding a motorcycle can be incredibly exhilarating and rewarding, but unfortunately, motorcycle accidents are very common. Motorcyclists are less visible on the roads, more exposed, and more prone to catastrophic injury than drivers in passenger vehicles. Reid Wissner has years of experience helping victims of motorcycle accidents in New York obtain the compensation they deserve. If you are in need of a motorcycle collision lawyer, don't hesitate to call the Reid B. Wissner Law Offices today at 212-406-9288 for your free case evaluation. What Are Common Causes of Motorcycle Crashes? Distracted driving is a main cause of motorcycle and car accidents. 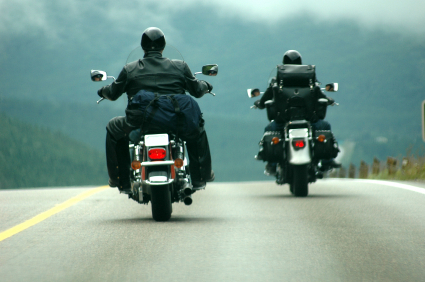 If you are on a motorcycle, you should always keep a safe distance from surrounding cars and watch for signs that a driver may not see you or may be distracted. Since motorcyclists face such a large risk of injury in even a minor crash, they need to be constantly alert and observant of everything going on around them. Brain injuries can have life altering consequences, including long-term damage to cognition, memory, personality, mobility, language skill, and more. Wearing a helmet is one way to help prevent catastrophic brain injury in a motorcycle accident, and helmets can also help prevent death from brain injury. In New York, motorcycle helmets are mandatory for both drivers and passengers on a motorcycle. Class A and B mopeds also require helmets. In addition to wearing a helmet, protective eyewear is required. New York motorcycle helmet laws are in place for your protection, as it has been shown that helmets dramatically reduce the risk of motorcycle fatalities. If you accept your insurance company's first settlement offer, chances are very high that you will not receive the full compensation due to you. Insurance companies are in the business of making money, not helping people, and they will always try to pay you as little as they can. If you are in need of a lawyer after you or a loved one was injured in a motorcycle collision, call the Reid B. Wissner Law Offices today at 212-406-9288 to schedule your free consultation. We serve clients in Brooklyn, Queens, and the Bronx, New York.